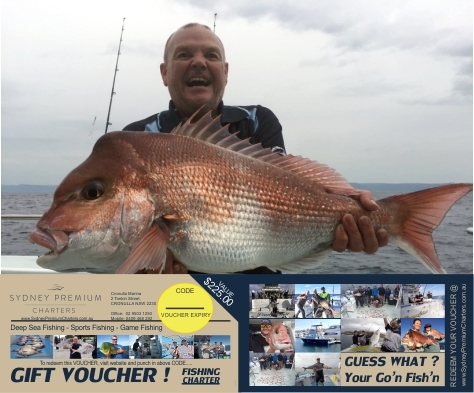 A GIFT VOUCHER is a great option as the recipient can walk straight onto a Deep Sea Fishing Charter without having to pay anything more. Once purchased, a GIFT VOUCHER with a CODE will be emailed to you within 5mins. If required, we can also post you a hard copy Voucher to present to person receiving the gift. Gift Vouchers are valid for (6) months from date of purchase.